The deadline to redeem your free ticket has passed, but you can still receive a special savings on tickets this season! Select your school for ticket options. 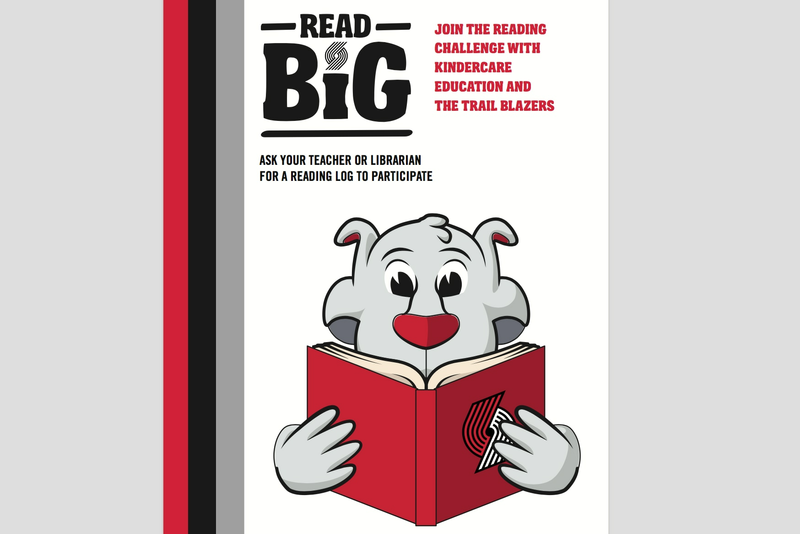 JOIN KINDERCARE AND THE TRAIL BLAZERS AND READ BIG! Sign up your school to participate in the Read Big program by filling out the information below. All participating students will be eligible to receive a ticket to an upcoming Trail Blazers game later this season. KinderCare Education and the Trail Blazers will donate one book to Reach Out and Read for every point scored during home wins this season. Learn more about Kindercare Education's commitment to childhood literacy. Keep track of your progress! Download and print your very own Reading Log. Download and print your very own Read Big poster.